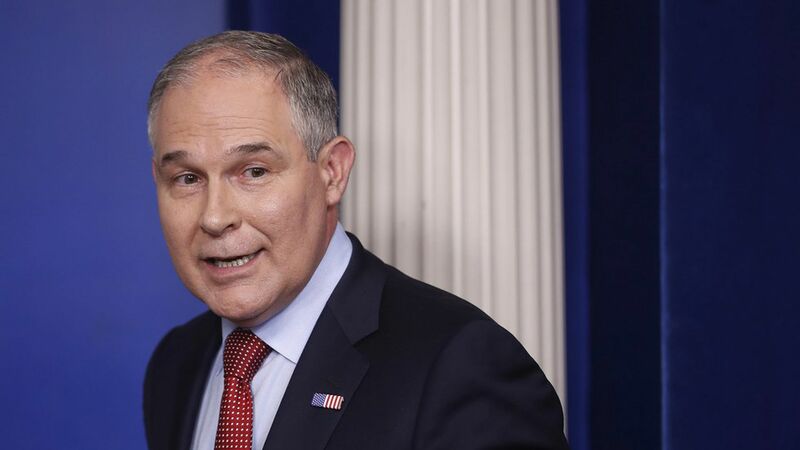 EPA Administrator Scott Pruitt's decision to host a public debate (possibly on TV) about climate change science is facing criticism from former heads of the agency and also industry officials who generally back what Pruitt is doing as administrator. Why it matters: The criticism indicates that many experts outside the Trump administration and Republicans in Congress don't think debating climate change science is a worthy expense of the government's time and money. "You don't debate on TV what are, essentially, solutions to an existential challenge for us, and that's why this proposal is ludicrous," Gina McCarthy, the most recent EPA administrator under Barack Obama, told me Wednesday. "It's not going to compete with Game of Thrones, I'll tell you that." Christine Todd Whitman, an EPA administrator under George W. Bush, said the exercise is "just mind-boggling." She also discouraged scientists, most of whom agree human activity is a driving factor of climate change, from taking part. "It's more dangerous to give credibility to people that really don't deserve it," Whitman told me Wednesday. Another side: Some fossil-fuel industry officials who are generally backing what Pruitt is doing at the agency--unraveling nearly all of Obama's regulations--said the debate doesn't seem to have a point. "Personally between you and me, I think it's a load of crap," said one longtime energy expert, speaking anonymously given the critical nature of the words. "I don't know why we need to do that." Another industry official said the only reason to do it is to unravel a scientific finding on climate change that Obama's EPA issued in 2009, and that, the official said, "is going to take a heck of a lot of effort and take away from other things they should be doing." (Check out a Harder Line column of mine from a few weeks ago for more on how some in industry don't want EPA to review the scientific finding). Myron Ebell, an expert at the conservative Competitive Enterprise Institute, says he supports Pruitt's plans but doesn't think it should be on TV, given the inherent granularity that is climate change science. For the record: "Climate science like other fields of science is constantly changing," an EPA spokesperson said in an email. "A new, fresh, and transparent evaluation is something everyone should support doing."